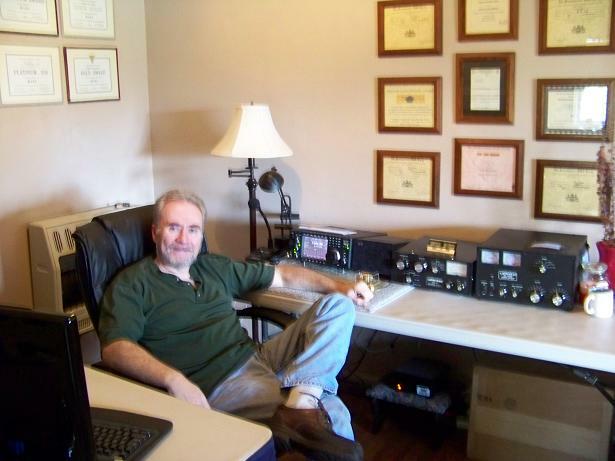 I have been on the air for 35 years, 99 percent cw. "Still practicing" My home town was Huntingdon Pennsylvania, I moved to Virginia in 2002. After coming home from the Army, I worked in radio/TV repair shops in my little town. also a broadcast engineer for our local AM/FM station. A few years later, I was employed as an industrial electronics technician/ engineer. I still continue this vocation. I am also very interested in weak signal on the HF bands, also dabble a little at VLF.ELF. My current qrp rig is my Ten-Tec Omni 7 I keep it at 5 watt. Later I will be building some qrp transceivers. One thing I would like to mention regarding CW. In 35 years, I have "never" had a bad cw contact!! Meaning no animosity and the rest that goes on with SSB. It is pleasure to be part of this club, and making new great friends! !